When you love Mexican cuisine as much I do, huevos rancheros comes to the forefront as it has so many outstanding variations. Cinco de Mayo is one of my favorite celebrations, I wanted to share with you a fun, delicious, and simple Mexican breakfast idea. 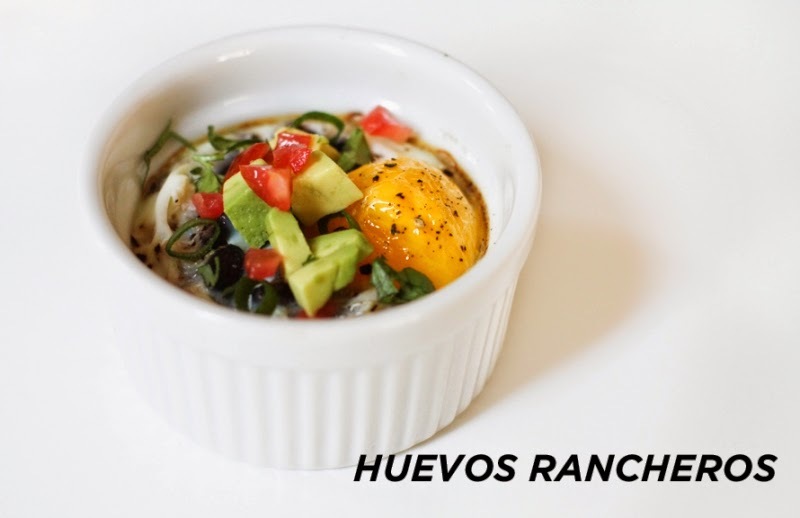 It is a great dish and you can start your own Cinco de Mayo with these bites, serve it for a brunch or shower, or mostly importantly, it's a great dish for a quick weekday breakfast. I love that I can quickly prep this as I always have all these ingredients always on hand. When I'm baking them, I hop in the shower, take my dogs for a quick walk, or take care of any other morning chores. That's why it is such an awesome dish. My huevos rancheros isn't a new recipe as it has been featured on The EveryGirl, but sans the tortilla. As I have lived in Cuernavaca, Mexico and spent a lot of time traveling through the country, I became a tortilla connoisseur. Luckily, Chicago has the MOST tortilla factories in the world. I buy my corn tortillas still warm, which indicates they were recently made and wrapped in paper with out any preservatives that plastic wrapped ones might have. It's a world of a difference in flavor, smell, color, and taste. When I get them my tortillas freshly made. I suggest to my fellow Chicagoans, Chicago "foodies", or Chicago Food Bloggers to venture out and explore what my city has to offer in their international local markets in different neighborhoods. You will be surprised what you will learn about about cuisine and their ingredients spending time those markets. Preheat the oven to 350 degrees. Lightly brush the inner surfaces of four ramekins or muffin tin with olive oil. Gently press each tortilla into each ramekin or muffin tin, I recommend warming the tortillas in the microwave first for 20-30 seconds. With a silicone brush, lightly brush the surfaces of the tortilla with the olive oil. In a large bowl, combine the beans, tajin or Mexican seasoning, cilantro and season with salt and fresh ground pepper. Spoon about a tablespoon of the black bean into each tortilla cup. Carefully crack an egg into the center of each tortilla cup. Lightly sprinkle the egg surface with cheese. Bake for 27-30 minutes, or until the whites of each egg are set. Garnish with any of your favorite toppings, I recommend making my guacapico. Enjoy!